Our Diamonds Crystal Beaded Curtains are the essential item for adding some shine and class to your wedding, special event, or even to your home Decor! 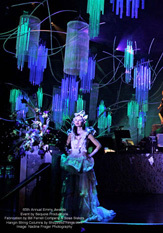 Each of our curtains is made using very high quality acrylic. 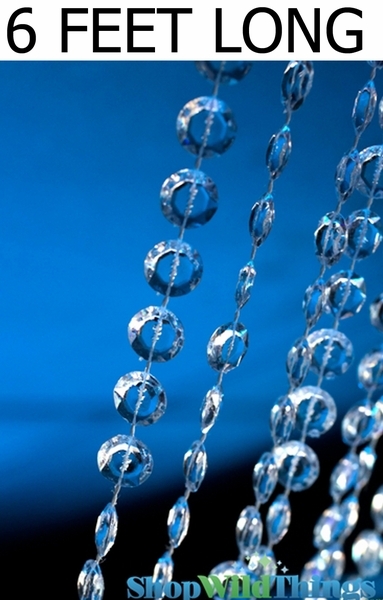 The beads on this curtain are faceted, making it catch the light so beautifully. 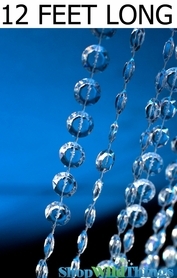 Non-Iridescent means that there is no pearlized coating on top of the beads. It is perfectly clear, and very shiny. 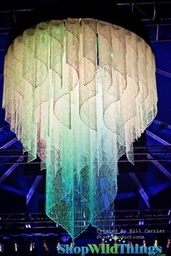 It is easy to make this curtain appear to be any color too, simply by aiming colored light at it, such as LED lighting. 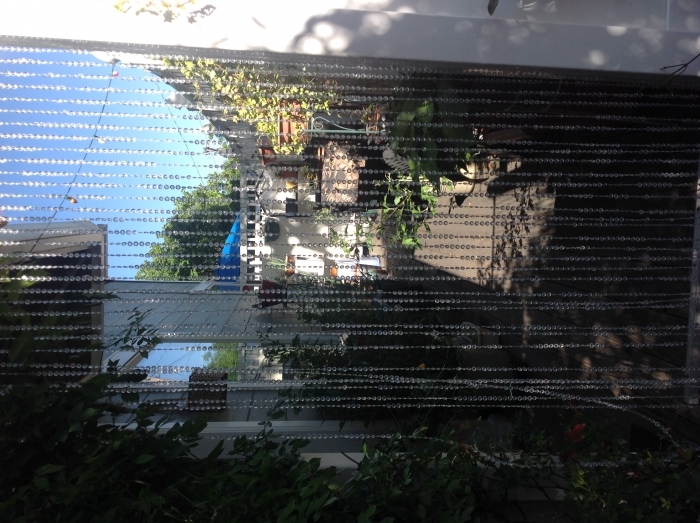 This curtain features 34 strands of beads hanging from one rod. You just take the entire item out of the box and hang it right up in seconds! The rod has 2 eyelets at the top for easy hanging with nails, c-hooks, or our pipe and drape compatible hooks. The eyelets slide back and forth on the top of the rod too which makes making hanging, positioning, and even customizing this curtain a snap! 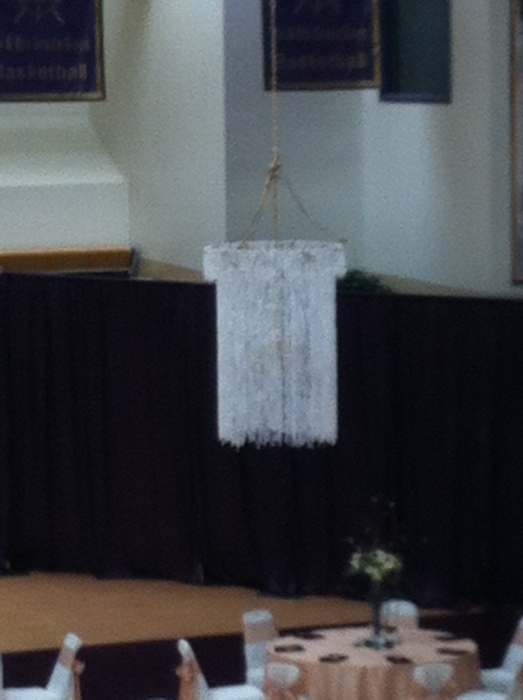 The rod is 35" wide and the strands of beads are 6' long. 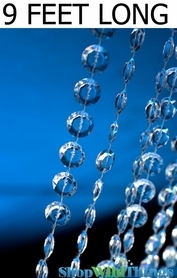 Each bead is 1cm in diameter and is faceted on both sides, so it is not flat. 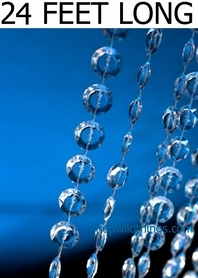 This beautiful Diamond Beaded Curtain is available from 6 Feet long to 24 Feet long! Better than expected, We will buy it again! 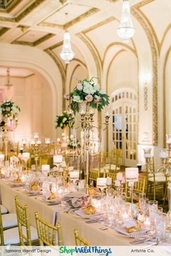 Love the diamond beaded curtains. It was perfect to go over my doorway. 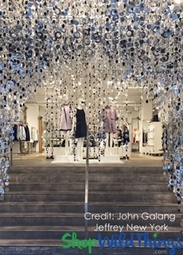 They sparkle and make a divider also while letting in the light. Very pleased with the item and the on time delivery will definitely purchase items again from here. I really like the quality of the product. Much nicer than I expected. Easy to install and looks great on both of our bedroom closet doors. Now I can use the entire closet without a door shutting me in. Already recommended them to my friends and family. Merchant Response:Thank you so much for your order and for sharing us with your family and friends!!! Item purchased was exactly as illustrated and described. Rapid service and company is easy to contact if necessary. Whatcha see is whatcha get. Our closet doorway is 2 ft wide and the curtain is 3 ft wide. After watching the videos I was able to shorten the width and place beads closer together. The curtain fit perfectly and beads do not tangle. I purchased the curtain for little girls' room and they loved it! So happy with my purchase. 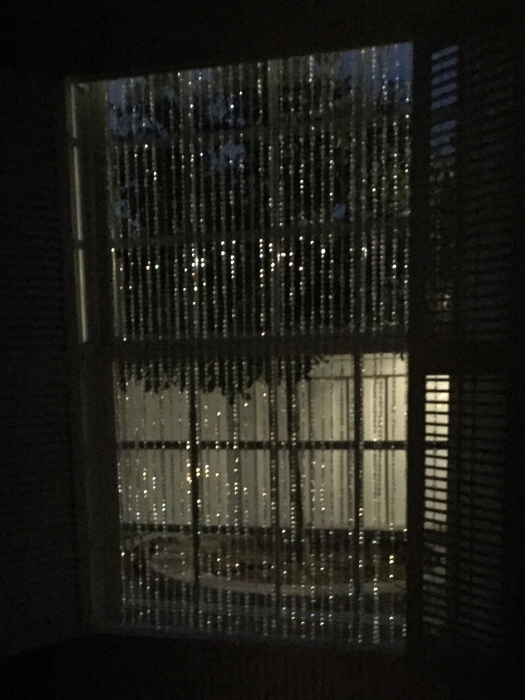 Arrived when expected; easy to install due to sliding hanging tabs; the shiny bead curtain keeps the deer off my patio which was why I bought it; and it looks nice! This was a perfect fit for a window with a boring view. Really sparkles at night! Easy to install! Very thrilled with my curtain. 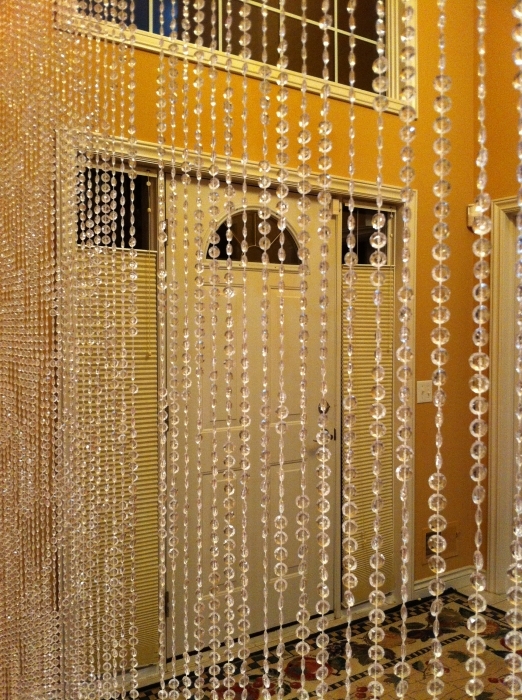 I bought this beaded curtain to add fun glamour to my Babe Cave, and it certainly worked! Easy to install by just watching the video. Great product! These were just as described and look wonderful! My teenager loves them! They shipped to us in a week very quick delivery. I would definitely purchase from them again. 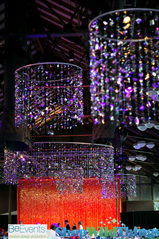 I am making a large chandelier for my daughters Homecoming The crystals have just the right amount of sparkle! It looks beautiful! Thank you! I wanted a bead curtain to hang in my front door so I can leave it open to get more air through the house but don't want flies getting in. The curtain ruffles in the wind and I haven't seen flies go through it. With a strong breeze it can rattle around a lot and going in and out it gets pulled around but so far is durable and hasn't damaged. But if I only get one summer out it I'm good with the value. ProsGood price, durable, looks good. 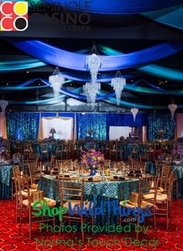 ConsI would have preferred more strings of beads so there are smaller gaps but it is working ok.
We made chandeliers for a banquet and they turned out to be the focal point and main attraction of the room. I will be purchasing more crystals in the future. ProsFast Service with customer follow up! I ordered these beautiful crystal curtains for my living room. I had to order two of them so it covers the entire thing and I am extremely pleased with this purchase. 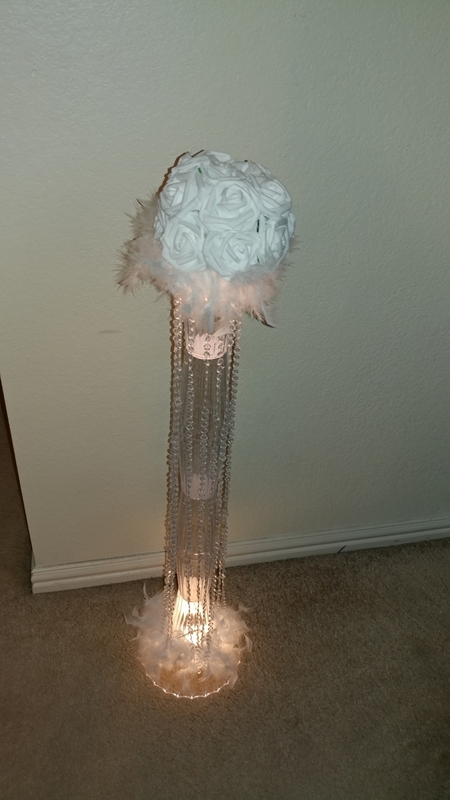 It makes the living room look absolutely gorgeous and especially at night it really stands out. I've gotten so many compliments on these curtains and hope to order more in the near future. Wanted these for a dance backdrop. Very pleased. Can't wait to use them for senior pics, too. Easy to order and was shipped promptly. They look beautiful on my door and have so many compliments on them. The moveable eyelet made it simple to hang up without any trouble.